Armstrong, Elliot, Crozier, Nixon, Johnson, Graham; Ulster-Scot. Crux coelorum, crux mihi clavis erit. Crozier Genealogical association, 1904 page 45. Anthony du Crozat (Crosset), a French Huguenot is a refugee to Ireland 1591. Diligentia fortior, or “stronger by diligence”. The motto above did not seem to fit the Crozier, but was shorter, and that was good. 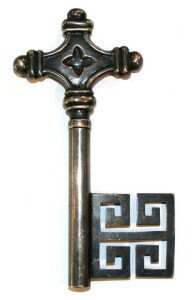 It seem that the motto above needed the key concept in a less maybe conflicting manner. Also in the form of the Cross of St Andrews, of the Scottish flag. It takes time to get things proper, but if someone could provide a design for the badge free for all Crozier it would be greatly appreciated. 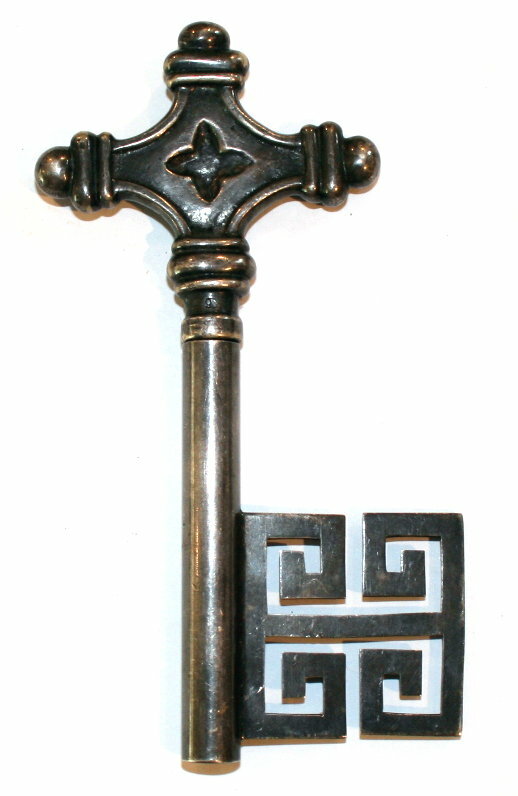 Has crosses (St Andrews) similar to crossed keys, and guess crows for Crowsar (Crozier). Though of the Religious Society of Friends do not favor a cross. Wm Penn’s book “No Cross, No Crown”. 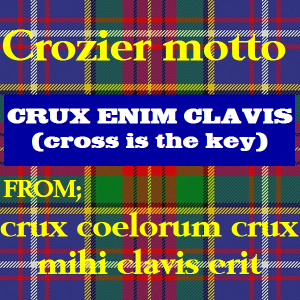 The name Crozier, easily evolved from Crosier, with cross as the basis. Likely the Crozier name origin came from name locality of Le Cros in southern France, previous to The Reformation. The Christain Church, and for a respect to the French the Americans, as opposed to the Scottish influence by the English with a name like Crozier likely of Le Cros, a cross it is felt should be on the arms and in the motto, though I may not care for crosses, and others may not care for the French it is felt that the French influence should show. 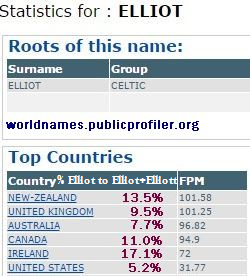 After all if New Zealand does not have any French origin, I can assure you Canada and the USA does. 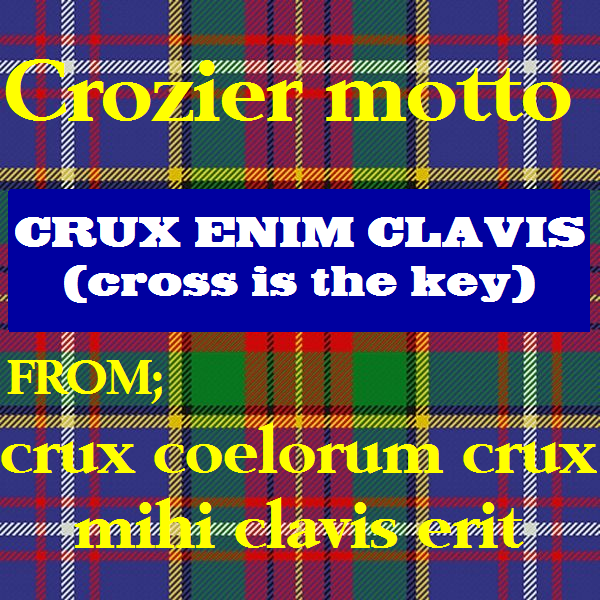 With heaven and cross in the moto it shows the pre-Reforamation sustainability of a clan once vanquished, and gives the motto a sense of tradition to the name of Crozier, and all the earlier variants it was derived from. 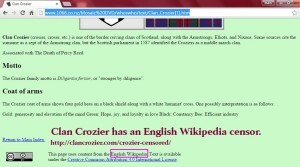 I have been reading much on Clan Crozier Website. I have been looking at Crozier History for more than 40 years, and much on this site is information gathered. It however has been well mixed up. 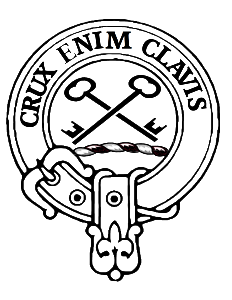 The Bedfordshire Croziers, The Croziers of Redworth, The Croziers of Banbridge and some of Fermanagh were never Scottish Crozier, The Croziers of Yorkshire and of East Anglia again were never Scottish Crozier. 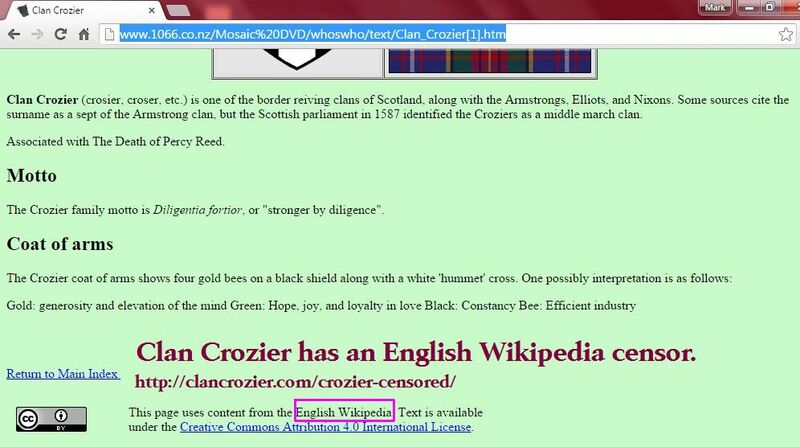 But in the website they are all lumped as if they were part of The Scottish Clan. 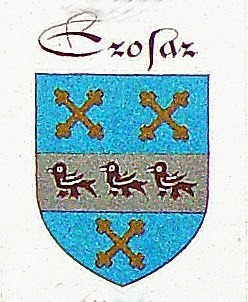 However it also states a bit about Le Gros, well that again was the name and he was Douglas Family. I would be interested to learn about the Fermanagh Croziers. Have you any information about them? Need to do something in providing more family genealogical history on the Crozier of Fermanagh. Finding that the name Crozier is likely more recent then people thing. Do genealogy so if I have a line, and people are searching to find relatives hopefully I can provide not an Fermanagh, but and Ulster aspect to genealogical information since it is likely the stepping stone for most coming from Scotland. Link above is of the RJ Hunter collection, a may-likely not have found all the variant muster names on link. You may what to yourself try variant spellings of Crozier.